My timeline is beginning to fill with #SLA2017 delegates getting ready for the Phoenix conference this weekend. I’m sad I won’t be attending in person this year. I will be watching from afar thanks to Twitter. 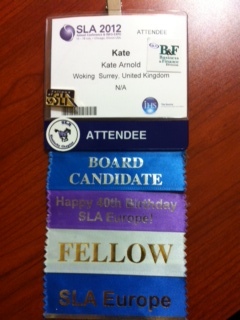 SLA conferences have been an important part of my life since 2000 – the year of my first SLA conference. I’ve been to 12 of the last 17 conferences. Little did I realise in 2000 that I would get elected to the board twice & to serve as the first non-North American President in 2014. I’ve learnt so much from being involved in SLA & will miss the camaraderie of conference. I’m also going to miss meeting the candidates running for 2018 board. Firstly, I’d like to say a big thank you to all of you for agreeing to run. You are incredibly generous people to say yes. Having run for election twice, I know what it feels like: a combination of exhilaration, fear, excitement, fun, laughter & tears. All rolled into one & on display for four full days at conference. – choose a few must see sessions & try to ensure you attend for your CPD. – remember you’re doing this as a volunteer, you have to find a healthy balance between work, home life & SLA. Enjoy the experience it’s really worthwhile. You learn lots about yourself, the organisation and how it operates. Plus you’re giving something back to the profession; for which we’re all thankful. 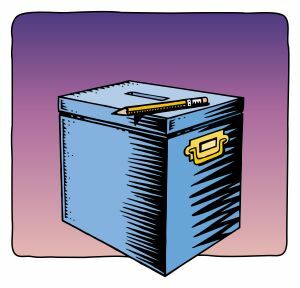 Are you ready for SLA’s Board of Directors 2013 election? Summer’s almost over, the Paralympics in London has started so that means September is just around the corner. For SLA that means it’s almost board of directors election time. I’m standing as a candidate for President-Elect and have been busy meeting and conversing with members, as have all the other candidates, since the early summer. We met a lot of people at conference, have all participated in webinars, and between 5-26 September SLA’s membership will vote. Biographical details – for more information on each of the candidates, see our biogs on SLA’s website. involving SLA members outside North America. Webinars – treasurer candidates recording of questions and answers and cabinet chairs candidates recording of questions and answers (these are large files so may take a while to download). President-Elect candidates’ podcasts – both Juanita and I have recorded interviews with SLA Europe. Don’t forget the election runs 5-26 September. All members eligible to vote (excludes organisational and honorary) will be sent an email with details of how to vote online. So remember to get out and vote early. Finally, during my candidate process I’ve had people ask me about how to find out about what being on the Board of Directors involves, and how they can follow what’s happening at regular Board meetings. Two-fold response to that: look at the Board pages on SLA’s website, you’ll find details of recent meetings as well as position descriptions for the various roles; and don’t be afraid to contact the Board directly to raise concerns or issues. You elected them and they’re there to serve you and the Association. I’ve been back for over a month now, and have been slow in writing this post. I’ve been spurred on to get this done having read others accounts, which SLA helpfully pulled together. Here are my reflections on my 9th SLA conference. We were after all in Chicago so the phrase ‘vote early, vote often‘ was used several times each day. 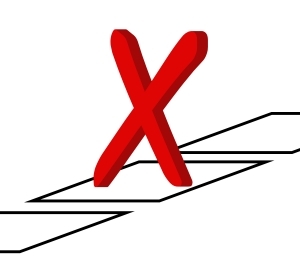 As a candidate, I’m standing for SLA’s Board of Directors for the position of President-Elect; conference is a great opportunity to meet members and to get an idea of their concerns and issues, as well as answering questions about what I’d do if elected. I attended lots of open houses and receptions and met many interesting people. The one night that stands out, was Monday as it proved to be a logistical nightmare with three receptions, in different places in Chicago, to attend in a couple of hours. But the up side of this was that I got to go to two receptions I’ve always wanted to attend but not been able to: the Canadian and American West chapters. Both lived up to expectations, underlining conference’s fabulous networking opportunities. I enjoyed them so much I’ll be sure to try and attend again in future years. I was attending conference with the following aims: as a candidate for President-Elect, to meet and greet voters, to understand their concerns and issues, and to tell them about myself. So I was aiming to attend all receptions, open houses and as many sessions as possible to speak with members. As a delegate I wanted to ensure I got an idea of the key trends and concerns in the industry and ideas on innovations I could take back to the office. I was aiming to attend at least one session a day that covered a broad theme. ‘unconference’ events, in particular the impromptu one led by Lee Ann Benkert, gave a new perspective on session format and seemed to fill a gap in terms of providing a way for people to mix and interact that was missing from formal sessions. Lee Ann’s session was also a great opportunity to seamlessly include vendors and delegates together. Global or international perspectives – for the first time in 10 years I really noticed a desire from attendees to hear more case studies and speakers from outside North America. More collaboration between divisions with more co-sponsored sessions that provided an opportunity to approach subjects from a more holistic perspective. Demonstrating or measuring impact and value – this was a common theme in sessions and during networking sessions and it resonated with everyone regardless of their tenure in the profession. It felt like it really was the emerging issue for us all. – take more business cards than you think you’ll need, they’re your best bet for making and keeping in contact with all the great people you’ll meet. Don’t forget to write a few words on the reverse of the card you receive to remind you of where and when you meet the person. This will prove invaluable for jogging your memory on your return home.